Once again it poured down during the night and early this morning but then . . . . . oh goodness, the rain stopped and the sun came out. To celebrate Mrs Sixwheeler and I took the bus into the city and, without any agenda, just browsed a bit, stopped for coffee and came home. It actually was a real treat not to come into the house damp. The river is very full but you can still see where the weir is below Pulteney Bridge so we enjoyed a brief spell out because tonight they are forecasting Armageddon, again. 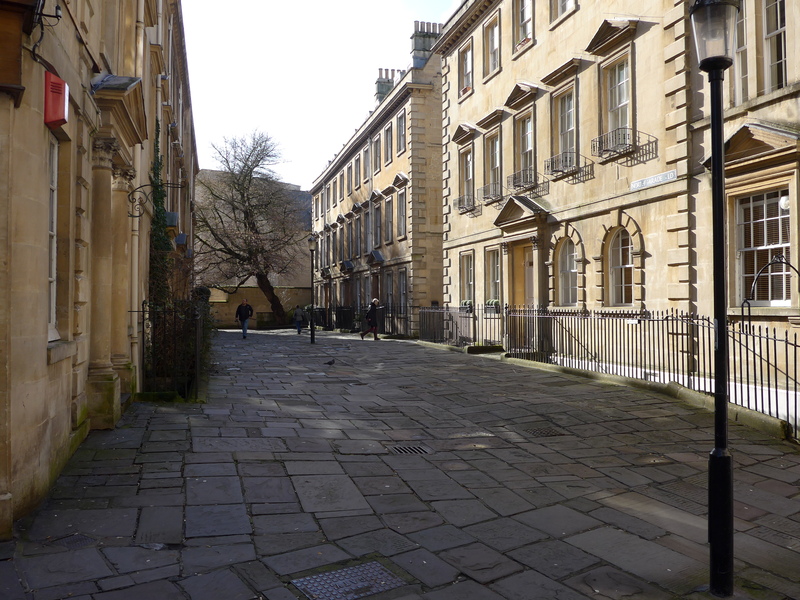 In a moment of brightness I took this shot of one of Bath’s attractive side streets. Ah, the beautiful architecture of Bath! Nice shot.